I have fallen in love with these bars, they are so very stunning and delicious. 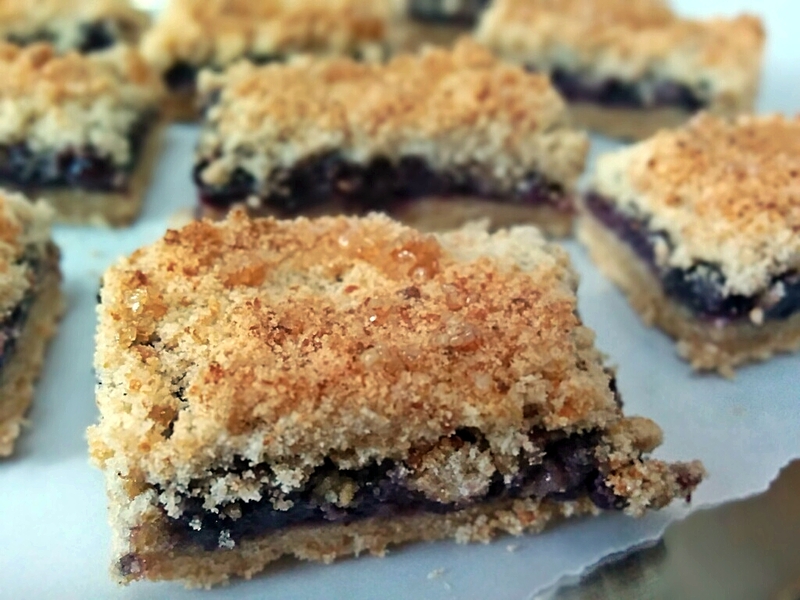 Melt in your mouth, buttery and tender shortbread layered with fresh juicy blueberries and to top it all a layer of buttery cookie yumminess in crumb form. These are perfect. The bars are made by Deb from Smitten kitchen and also by cooking classy and all recipes .com. I read all three recipes and choose to make cooking classy’s recipe as I adore her blog and I have never ever seen a better blog than hers, her pictures are to die for and I love her artistic temperament. Preheat the oven to a 180 degree centigrade. Butter an 8×8 baking dish, set aside. In a large bowl whisk together flour, 1/2 cup granulated sugar, baking powder, salt and lemon zest. In another small bowl whisk together the egg yolk and vanilla extract. Now add the egg mixture and cold butter cubes to the flour mixture and using a fork or even your fingertips cut mixture together until it resembles coarse bread crumbs. Gently press more than half the mixture evenly into prepared dish. 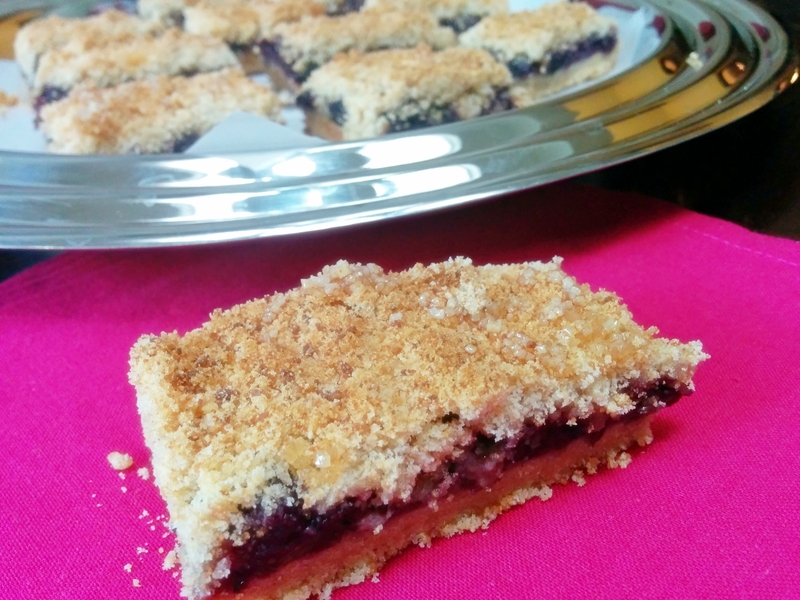 In a separate mixing bowl, whisk together remaining 1/4 cup granulated sugar and 2 tsp cornstarch, stir in the lemon juice and add the blueberries toss the mixture to evenly coat all the blueberries and spread them evenly over the crust in the baking dish. 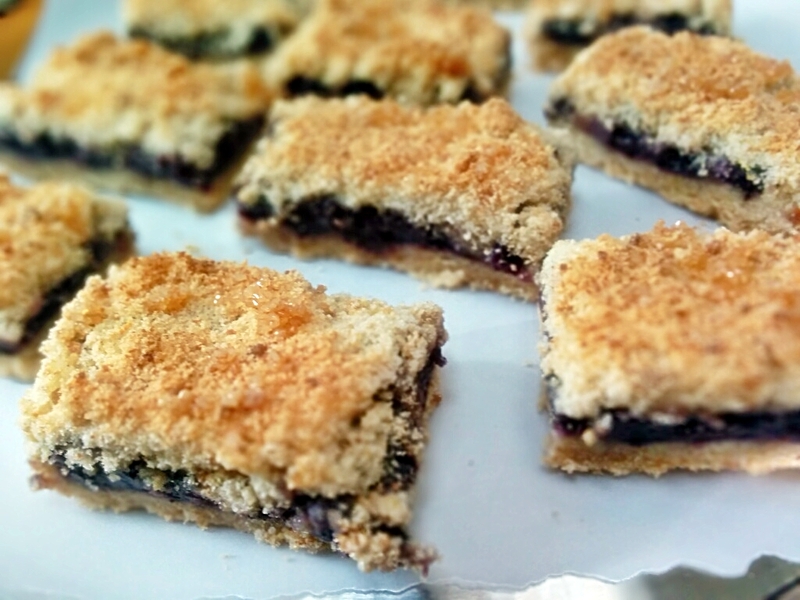 Sprinkle the remaining crumb mixture over the blueberry layer and then sprinkle 1 1/2 tbsp raw Turbinado sugar evenly over the top. Bake in pre heated oven for about 35-40 minutes until top is golden brown and your kitchen is smelling like heaven. Allow to cool completely before cutting into bars. I prefer to eat the bars warm rather than cold straight out of refrigerator so I microwave them for 15-20 seconds but its your choice completely, eat them any way you enjoy. I love anything with blueberry. These look delicious. Thanks for sharing!